Pre-booked orders will not be processed until we open. 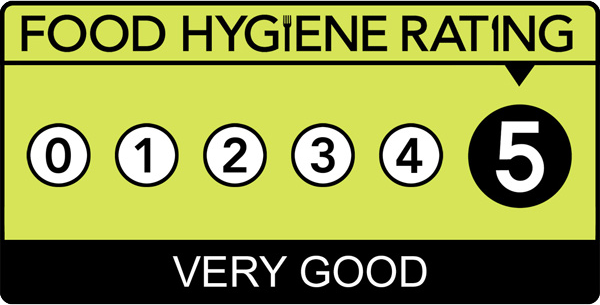 The Oriental Takeaway is a 5 Star Food Hygiene Rating Chinese takeaway based in Brighton. 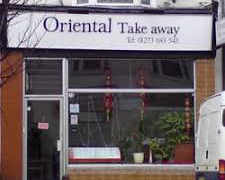 We serve a wide range of delicious Chinese and Thai food to take away. We also offer a variety of dishes for vegetarian and vegan! Please inform us of any possible allergies before ordering as food allergens may be present. 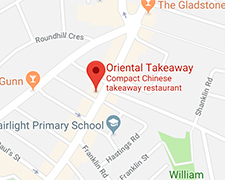 Free delivery for orders over £10.00 within 2miles. 60p charge for every extra one mile. Please select one meat or fish dish to be cooked in any one of the following styles. Eg. 35A = King Prawn in Satay Sauce. Please select one meat or fish dish to be cooked in any one of the following styles. Eg. 92A = Veggie King Prawn in Satay Sauce. *Not real ‘meat’, they are processed soya products cooked to look and taste like the real thing. *Not real ‘meat, they are processed soya products cooked to look and taste like the real thing. *Not real ‘meat’, they are processed soya product cooked to look and taste like the real thing.